This morning was our time to set off from San Francisco and head toward the Pacific Northwest. We got a mid-morning start after checking out of our hotel and renting a prius for our trip. We squeezed and managed to fit our luggage into the prius and took off. After going across a fog shrouded Golden Gate, we took a detour to go into Muir woods to see the redwoods. Turned out to be a wasted detour as it was so completely swamped with visitors that we could not even park. So in and out and back on 101 north. After a couple more stops (coffee and ipod adapter), we began to put on a few miles. Lots of starts and stops, bathroom breaks and unscheduled walks through towering redwood forests further up the coasts. And about the redwoods, let me say that they are unreal. They almost seem surreal or alien, from another place or time. Not only are they individually huge, they grow 300 feet tall and appear to be very large in diameter right to the tops of the tree. Instead of becoming slender until they branch out at top, the redwoods mostly seem to have a very large trunk diameter to the top and sometimes appear broken or dead in the very top. Also, you might think that trees big enough to drive a car through would be widely spaced, lots of room between them. Not so. 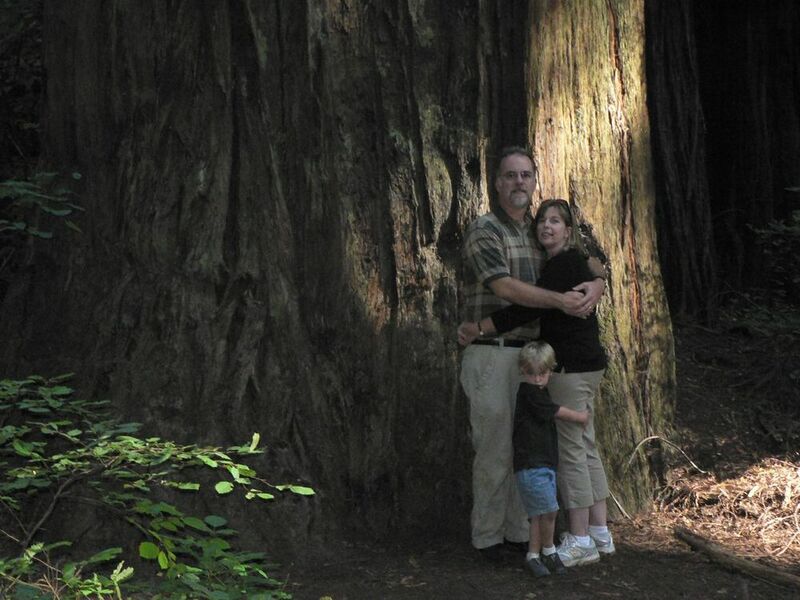 In the best groves where the biggest redwoods grow, the trees are side by side or at most only a few feet apart. It fees like walking down a street filled with tall skyscrapers! Very magnificent, very enchanted. Amazing. The first place we stopped to see the really big redwoods was at Leggett, Ca. 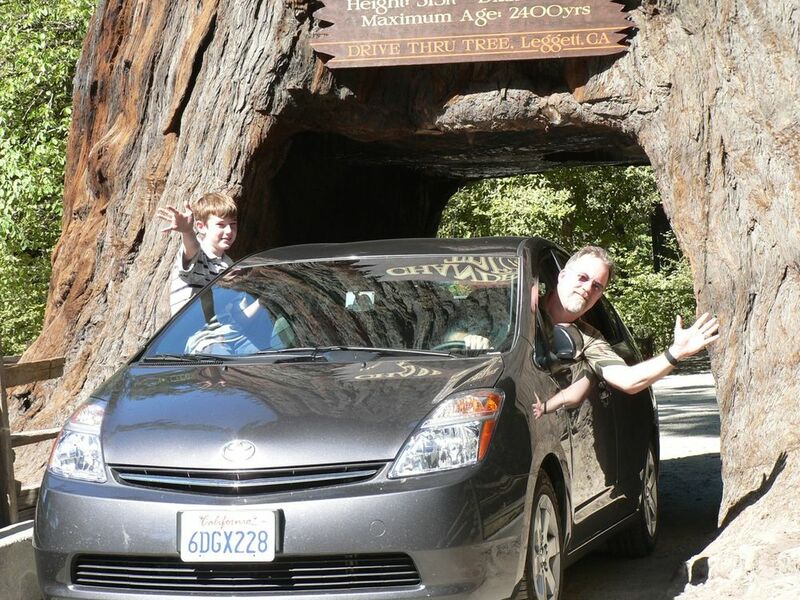 They have a world famous, drive through redwood called the "Chandelier Tree". From what I can tell, this is the best of the drive through redwoods around. It was carved out in the 1930's and folks have driven through it ever since. It really is a magnificent tree, and the experience was worth the $5 it took for the ticket! More Pictures from our trip!